Trusculpt is a non-invasive and non-surgical procedure that makes use of Radio Frequency (RF) technology for body contouring, body sculpting, fat reduction and cellulite removal. Designed to address problem areas like the thighs, abdomen, buttocks, and flanks, this treatment works for all types of skin. TruSculpt is an FDA-approved procedure. With RF technology, TruSculpt makes use of comfortable and tolerable heat that emits from the handpiece that an expert provider carefully applies on the treated area. This heat will work to break down the fatty tissues and may be adjusted according to the patient’s comfort level. Each application or pressure takes four minutes on average to administer, and then it is repeated until all areas are covered. A single, complete procedure takes less than an hour to finish. Patients report feeling no pain or irritation, only mild discomfort at the start of the procedure. TruSculpt requires no downtime following the procedure and patients can proceed with normal activities after their appointment. Reducing and destroying fat cells scientifically cannot happen overnight. 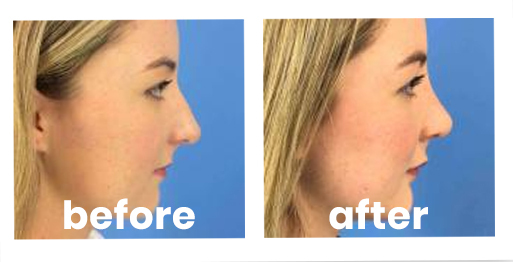 TruSculpt procedures require regular visits to the clinic to up to three months. Significant results will be gradual, but many patients see noticable effects during the first few weeks of the treatment phase. Improvement, however, will be most satisfactory and rewarding with continued treatments. Although safe and painless for most, TruSculpt cannot be administered to patients who have cardiac pacemakers, metallic implants, or defibrillators. Patients with tumors are also advised against the procedure. It is recommended that pregnant women wait a few months after giving birth before undergoing a TruSculpt treatment. With Liposuction: This invasive procedure is more effective for those who require considerable reshaping, contouring and fat removal. The patient who undergoes liposuction is treated as a surgical patient, and may have to take a few weeks off to recover from the procedure. Some scars, although quite small, will have to be treated and cared for after a liposuction surgery to become invisible. TruSculpt, meanwhile, is an alternative that works best for moderate, but varied, problem areas, with little to no recovery time needed. With CoolSculpting: CoolSculpting is also an FDA-approved non-invasive procedure that reduces fat in the opposite way. While TruSculpt makes use of heat, CoolSculpting makes use of cold temperatures to remove fatty tissues with a clamp applicator. Like TruSculpt, a single CoolSculpting procedure takes less than an hour to complete and recovery is fast. There are some limitations to CoolSculpting though, because the clamp applicator requires patients to have enough bulge to squeeze. As a result, CoolSculpting is most often used to treat the abdomen and hips (or love handles). If you would like to learn more about TruSculpt at CosmetiCare, please get in touch with us to schedule a free consultation. Of course, if you still have questions, we are happy to help you get the answers you need any time.